[How] Can the Diaspora Invest Collectively in Development? The Global Native is concerned with researching different ways of funding development in Africa, we realise that despite decades of various development policies, theories and general persuasions, it is usually the financial strings that determine project outcome. For this reason, The Global Native is developing an alternative way of raising independent finance for the poor, by the poor; in this way it is those who truly understand and live with poverty who are at the helm of overcoming it. Here’s are some ideas that may have the potential to set new rules to the old development game. 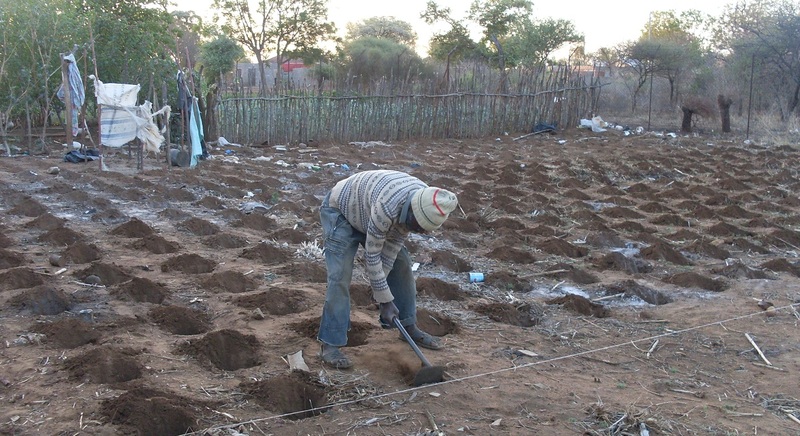 With reference to the Zimbabwean case study-Turning Matabeleland Green (TMG), this brief explores whether the finance mechanism Diaspora Direct Investment (DDI) can achieve food sovereignty and systemic development opportunities. DDI here is understood as any form of remittance that is sent for collective development and investment ends, beyond the private consumption commonly associated with remittances. DDI requires a transnational approach, as such this brief calls on the UK and Zimbabwean State, the private sector and international donors to support possible financial partnership(s) with the diaspora. The brief traces the relationship between traditional financiers and small scale farmers in Zimbabwe, explores the case study TMG and elaborates on DDI as a new means to finance the informal sector such as Zimbabwe’s new rural farmer. Finally, it sets out a number of recommendations to assist the abovementioned key players in successfully reinventing the country’s development finance. In Zimbabwe, as in most Sub Saharan countries, agriculture has traditionally been shaped predominantly by private finance; as the proverb goes, he who pays the piper writes the policy. The biggest agriculture finance historically came from private institutions such as Standard Bank, at its height investing a large portion of their capital in agriculture. The resulting policies supported large scale, low risk, high production and high profit farming practices which translated to large commercial allotments rooted in a pre-colonial land tenure system. Production mainly concentrated on cash crops, the most profitable being tobacco; little or no private sector finance was allocated to the so called informal sector. In instances where this took place, it was primarily under contract farming agreements, to a point where the financier dictated what crops were grown, such as barley exclusively for the breweries. In the late 1990s the “fast track land reform” brought upheaval in land tenure; the international community then responded with “targeted” sanctions on the State. Subsequently, the private sector withdrew resulting in the collapse of the agricultural sector. Since then, International donors have been more visible, and primarily supported the informal sector. For example, DfID financed a £60 mil Protracted Relief Programme, though these figures have been in steady decline owing in part to international sanctions and the global financial crisis. It is in this regard that new forms of sustainable finance must be explored to target this vulnerable sector. As a result, the State has re-emerged as the main driver of agricultural finance, however it is still cash strapped and recently allocated USD 20-30 mil to operate programmes that require USD 2 billion. Similar to its predecessor, it employs contract farming toward specific State programmes in low risk areas mainly in the North, usually excluding the informal sector. In the new ZimASSET policy, the State “calls for the need to come up with sanctions busting strategies [focused on] the full exploitation and value addition to the country’s own abundant resources”. This signals a break from reliance on traditional financial sources and perhaps an opportunity for new partnerships. Further, in the official 2014 national budget, valued at USD 4 bil, an estimated USD 1.6 bil is expected from remittances, though it is unclear how the State will access these funds from the diaspora. A government spokesman highlighted that the State previously encouraged the diaspora to remit through “Homelink”(a State owned apparatus) with little success. Currently the only way the State can access remittances is through tax (such as import duty, vat etc) once remittances enter the formal economy – this tax amounts to about 30 percent of received remittances, implying that the actual size of remittances could be at least three times larger than the USD 1.6 bil highlighted in the 2014 national budget. For this reason, the State should consider a new way to partner financially with the diaspora. Mrs Chinyange surveys her crop in Rutenga, Zimbabwe. The mulch grass kept the soil moist enough to harvest despite the severe dry spell that season. TMG is driven by The Global Native, a development research organisation formed and run by Zimbabweans in the UK in partnership with Foundations for Framing and Sondelani Ranches in Zimbabwe. TMG presents a holistic development approach by leveraging communities’ human and natural resources as a starting point; its focus is to (1) train farmers in Conservation Agriculture to increase productivity (2) provide logistic and market support for rural farmers where traditional funders are ill equipped to venture. TMG is based in hot, dry Matabeleland, which essentially constitutes a natural greenhouse six times the size of Belgium, therefore growing “greenhouse crops” like tomatoes yields better value. 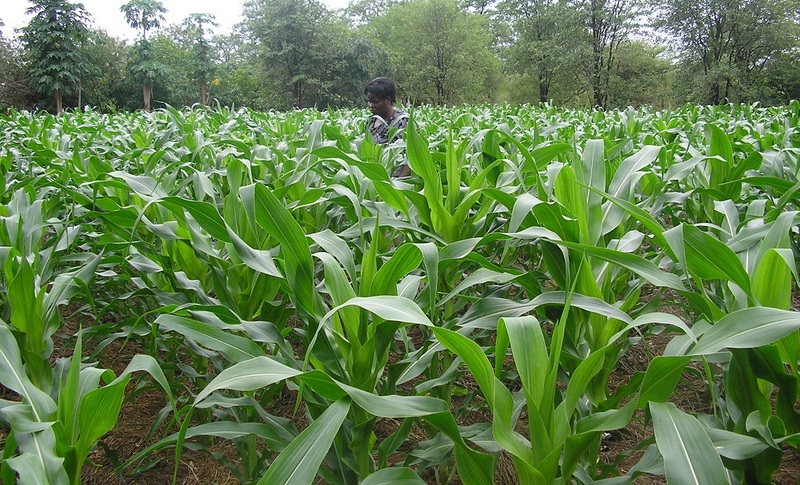 For example, a hectare produces 1 ton of maize valued at $300 compared to 40-60 tonnes of tomatoes valued at $15,000. To absorb this surplus and connect the rural farmer to the value chain, TMG has purchased a tomato canning plant which can process 150 tonnes per day, adding value for local and export markets. The financial mechanism for this infrastructure is in partnership with the diaspora (whose remittances contribute 40 percent to the 2014 national budget) through TMG’s Enaleni community shares. Enaleni is an Industrial and Provident Society (IPS) registered in the UK and regulated by the Financial Conduct Authority (FCA), which is able to issue such shares. Opposed to company shares, these are withdrawable so one can exit at will and non-speculative so they retain value. TMG invests the remittances in value chain logistics that earn profit for the diaspora investor while providing infrastructure for farmers, thereby creating a symbiotic relationship rather than the traditional one way financial support from the diaspora. Appealing to a mass of relatively low paid migrants, it simultaneously provides the diaspora a means for building savings while investing at home and reaping better returns (7 percent opposed to current European Bank interest of 2 percent). This way, DDI works with the relatively informal nature of remittances yet providing a workable mechanism for the diaspora to invest directly in development over and above the 30 percent that is currently taxed on remittances by the State. TMG’s Enaleni Community Shares are a distinctly different form of investment, a clear break from (i) traditional remittances focused on consumption, (ii) remittance based spin off investment run by the recipients, such as small businesses, home building and small loan schemes. Diaspora Direct Investment in Zimbabwe’s case, pools from at least USD 4,5 billion according to government estimates, sizable compared even to private sector investment in the current economic climate. DDI, is informal money for a formal cause and constitutes what Dr Zuma, Chair of the African Union Commission aptly called “Domestic Resource Mobilisation” highlighting that Africans now contribute 17 percent of all external investment in Africa. Therefore, the diaspora, Africa’s sixth region can be reimagined as Africa’s new Private Sector, both in capital and composition. The developmental potential of remittances is clear, yet States and other institutions have been frustrated by the difficulty of accessing remittances; primarily because these are private funds. While, most members of the diaspora are keen to invest at home, they but do not trust their home governments to handle their private funds, but investing through DDI based mechanism such as TMG, the diaspora can retain control of their finances and invest at home in their sector(s) of choice. Since the diaspora wish to retain their financial independence and resist capture by the State, it necessitates a partnership with traditional financiers such as donors and in the case of the Zimbabwean State, these funds are over and above what is taxed through the formal economy, therefore it would be an additional rather than a competitive partnership. This brief demonstrates the potential of Diaspora Direct Investment through the unique case study of Zimbabwe which is reinventing development finance, partly motivated by a lack of access to traditional donors. Recommendations are therefore directed towards the Zimbabwe State, international donors and members of the diaspora as follows. The Zimbabwe State should strengthen the relationship with its diaspora similar to Mexico, China and India whose diaspora contribute greatly to their national development. The State should build confidence through promoting diaspora friendly policies such as a clear route to dual citizenship which would signal a safer environment for increased diaspora investment in the country. The DDI mechanism relies on transnational financial flows, currently through an Industrial and Provident Society based in the UK. A complimentary form of legal body in Zimbabwe will add to the efficiency of DDI; as such, a revision of Zimbabwe’s “Companies Act” maybe a way to achieve such efficiency. Should this model succeed, Zimbabwe could contribute a best practice case which could be adopted by other developing countries and development financiers. Further, the brief expressed Diaspora Direct Investment as a turn from aid to investment and self-reliance, and third sector donors should partner with this new player in development. Third sector donors are encouraged to change the way they “aid”, by investing in DDI to bandwagon with remittances. An example would be as guarantor, such that for every dollar raised through DDI, a donor can guarantee the same, which constitutes a different form of investment. To cope with the changing economic climate, donors should reconsider a mixture of financial packages that also enable them to remain financially sustainable through investment rather than relying on funding themselves – which DDI proves. Finally, there is a great need to raise awareness among the diaspora that they are in fact not recipients but investors in Africa’s development. As such the diaspora is encouraged to invest in their own development through DDI and community shares. TMG can demonstrate through community shares that each pound invested goes a long way toward building sustainable economic growth in partnership with in-country communities to create buy in and accountability in a far greater way that grants. By investing via a large diaspora pool, TMG can build collective assurance by spreading risk and reward at grassroots level. Thus through TMG and DDI, the diaspora can financially support themselves and their communities. Moyo, S. (2007). The Radicalised State: Zimbabwe’s Interrupted Revolution, Vol. 34, No. 111. Review of African Political Economy, pp. 103-121. Zimbabwe Agenda for Sustainable Socio-Economic Transformation (ZimASSET) policy document. International sanctions and the general mistrust that exists between the State and civil organisations results in a difficult terrain that is best navigated through local kinship networks. Through consulting various diaspora networks, one of the critical concerns raised has been how they can be sure that their funds don’t end up “lining government pockets” should they chose this collective investment.